Lunasol changed the foundation and primers while 2017 – 2018. Lunasol Smoothing Makeup Base N is changed to Lunasol Smoothing Light Makeup Base now. I got samples, and review for you. When I applied on my arm, I reminded Cosme Decorte Complete Flat Primer, and still I have it, I decided to swatch for you with comparing. In the picture below, left is swatch, the right is blend. 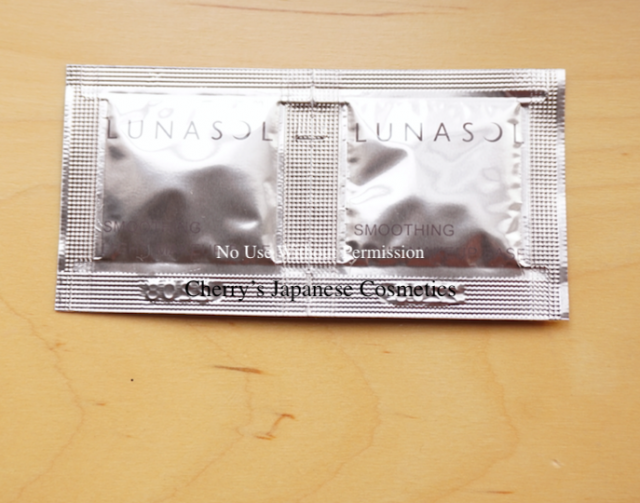 Guess you may se the Lunasol Smoothing Light Makeup Base is an orange cream, and CD Complete Flat is white-pink cram. 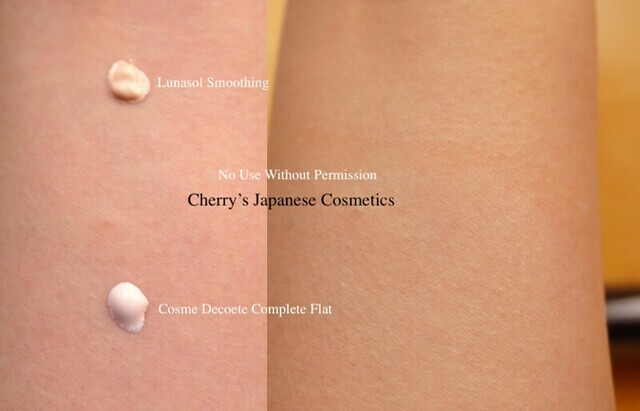 When I blended both, Lunasol does not change my skin tone, and CD changed my skin torn white. In Cosme Decorte, it does not quite wired when it is on my face, it can be due to the layer (it is a little bit heavier than usual to show you). On my face, I felt it is only for fitting to the powder foundations, there are no color controlling effect for uneven skin torn, nor covering my pores, it is just a primer, I felt. But I admit that it makes the lasting much longer with using the Lunasol Skin Modeling Powder Foundation. Indeed checking what Japanese reviewers are saying it covers their opened pores or let their face torn a little bit bright. I can not decide that whether it works or not for you, if you use Lunasol Skin Modeling Powder Foundation, that powder foundation is designed for using with this Lunasol Smoothing Light Makeup Base. Please check the latest price, and order from here: “Lunasol Smoothing Light Makeup Base”, or in JPY Branch!